Scale and Aphids and Canker Worms OH MY!! Home » Pest Management » Scale and Aphids and Canker Worms OH MY!! Spring will be here soon and so will the creepy crawlies that can be harmful to your shrubs and trees!! 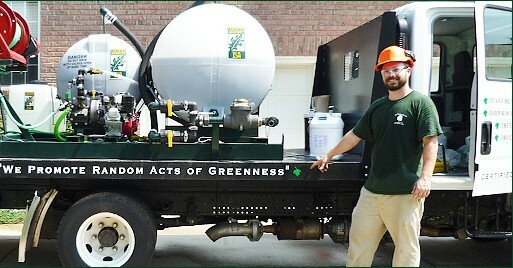 We urge property owners to contact us for Plant Health Care and Integrated Pest Management. Unhealthy trees and shrubs are often more susceptible to pests such as fungi and insects. It’s important to do your best to promote the health of your trees and shrubs via creating the healthiest environment possible. AAA Tree Experts is well equipped to help you make sure that your trees and shrubs are in the best shape possible and that unacceptable levels of insects and/ or disease don’t send your beautiful, leafy assets into a state of decline or even death. If you have trees and shrubs on your property, it’s not a bad idea to have us just come out and take a look at your landscape environment. It often takes a professional to see the warning signs that can cause problems down the road. Some things are obvious like the canker worms that descend all over us and sooty mold (a bi-product of aphids that turns cars, patios, houses, other trees, and more black). But other insects and diseases can be more difficult to detect. It’s better to attack these issues proactively so that minimal tree and shrub damage occurs. Please contact AAA Tree Experts for a free plant health care evaluation.